There are three questions I always hear when I talk about blogging. One of them sometimes isn’t a question at all, just a statement. “I would write a blog but I don’t know what to write about.” (The other two questions are ‘how long does my blog need to be?’ and ‘how often should I be blogging?’ – we’ll get to those another time.) When it comes to finding topics for your blog, there are hundreds of different ways to go about it. 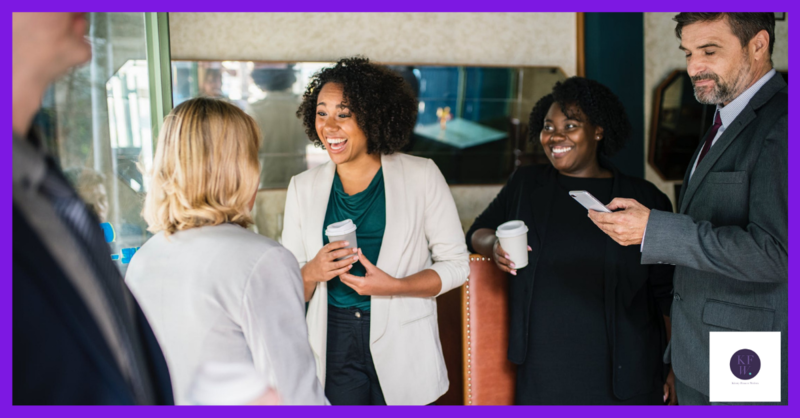 I’ve written about a few in this blog, but this time I’m going to be focusing on how to find new blog topics when you’re networking. Ah yes, networking. It can strike fear into the heart of a business owner who just wants to be left along to do the work. We’ve all heard the horror stories and probably experienced some as well. In a nutshell, the right networking group with events that suit you is a truly wonderful thing. You’ll meet people like you and get great support, as well as business and referrals along the way. It will also help you to come up with new blog topics. Here’s how. Networking lets you meet lots of other business owners and find out what makes them tick. If you’ve already identified the kinds of businesses you want to work with you can seek them out. You can find out what their challenges are but also learn more about their life in general. That helps you to get your marketing message where they’ll see it. You can also find out who would be a nightmare to work with so you can avoid them. Knowing who you’re talking to helps you to choose more relevant blog topics. I know that standing up in front of other people can be scary. It’s worth doing because you get to tell people what you do and how you can help them. I’ve stood up and talked about writing blogs for businesses in front of people who had no idea you could pay someone to do it for you. Equally, you’ll never get any business if people don’t know you exist. Finding out what surprises people about your business means you can write a blog to educate them. Alongside the bits where everyone stands up and introduces themselves, there’s the more general chat. That’s where you get to find out what people are struggling with and what’s going well. It could be an opportunity for you to pitch your services, but there’s more to it than that. Your blog doesn’t just have to be about your services. If they’re struggling with something that you’ve experienced too, write about it. It helps you to build a relationship with your audience as they can see that you understand their lives. I’m a member of a couple of face to face networking groups that also have active Facebook groups. Of course, I’m also part of quite a few Facebook only groups. They’re a really useful source of blog topics because people can ask for advice outside the regular meetings. Answering questions is a great way to show your expertise, but you can also answer the question in a blog post. It’s worth remembering that if people are asking a question in person (or in a Facebook group) there are probably others who are typing it into Google. If you’ve written a blog post with the answer they could be finding their way to your website. Do you need some help and inspiration for your blogs and social media posts? 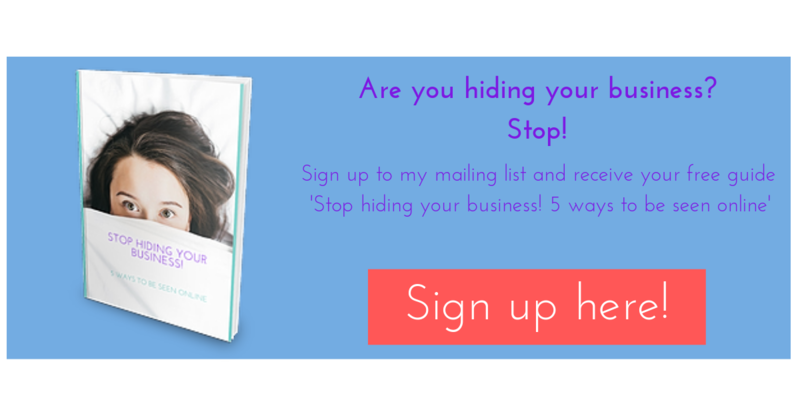 When you sign up to my mailing list you’ll receive a free copy of my eBook ‘Stop hiding your business! 5 ways to be seen online’. You can unsubscribe whenever you like and I won’t share your information with anyone else. If you want to take a more technical approach to topics and improve your SEO, Ubersuggest is a fab free tool.